We gather today with grateful hearts for the life and mission of our beloved Sister Theresa Marie Maksym (fondly known as Sister Terry), who died peacefully at our Maryknoll Center on May 6, 2015. She was 87 years old and had been a Maryknoll Sister for 68 years. Sister Terry was born in Jamaica, NY, on January 7, 1928, to Konstanty Maksym and Janina Lazowska Maksym, the seventh of twelve children. Her brother Carl Maksym and her sister Mrs. Helen Golonka are her only living siblings. Terry graduated from Jamaica Public High School in June 1945. Being part of a large family served Terry well when she entered the Maryknoll Sisters at Maryknoll, NY on October 5, 1946 along with 125 young women! At her Reception she received the name, Sister M. Francis Christine. After her First Profession of Vows on April 6, 1949, she was assigned to Panama, where she started a kindergarten for the descendants of the builders of the Panama Canal who came from the Carribean Islands of Jamaica, Trinidad and Martinique. She also gave religious instructions to the children at the U.S. military bases in the Canal Zone. She taught in Colegio San Vicente and did pastoral work in Ancon, Panama. Sister Terry made her Final Vows in Panama on April 6, 1952. In November 1957, she returned to the Maryknoll Sisters Center to attend Maryknoll Teachers College where she received her Bachelor of Education degree in January 1959. She was then assigned to Guatemala and in February of 1959, she began teaching sixth grade in Colegio Monte Maria, a Maryknoll Sisters School for girls in Guatemala City. She then went upcountry to San Miguel Acatan, Huehuetenango, where she started a school for Mayan children. She taught, was principal, did pastoral work and gave literacy classes to adults in the evenings, collaborating with the pastor, Maryknoll Father Edward F. Moore, and with Sr. Agnes O’Keefe, who was in charge of the Clinic there. In 1965, Sister Terry began her long love affair with Mexico. She lived in Mexico City where she taught in Helena Herlihy Hall, a girls’ school for bi-lingual secretaries. For ten years she served as principal and worked with the girls and teachers, turning the school over to lay administrators in her last year. Moving to Merida, Yucatan, Mexico, in 1976, Sister Terry was with the Mayan people once again. She began giving religious instruction to adults and children in two colonias (small villages) near where she lived. With another Sister, she directed the activities of the parish social center, which contained a small clinic, a small library, a saving cooperative and various opportunities for adult education, with the goal of forming Basic Christian communities. Sister Terry then launched out to do pastoral work in five Mayan villages in the sprawling parish. At the same time, she continued with the supervision of the catechetical programs, driving to these five villages, collaborating for over thirty years with her pastor, Father William Auth, OSFS, and lay co-workers in both pastoral work and community services, while animating the Basic Christian Communities. Sister Terry could not walk through Merida without meeting someone who knew her! In the 1980’s her home was a haven for Maryknoll Sisters who worked in the Campeche Si Refugee Camp. Sister Terry left Merida, Yucatan, on March 16, 2010, and returned to the Maryknoll Sisters Center, becoming a member of the Chi Rho Community. She taught English to lay employees, and Spanish to Mr. Andrew Tully, a fine lawyer who volunteers his services to undocumented people at St. Ann’s Parish in Ossining, NY. For the past five years, every December 12, Sr. Terry with other Maryknoll Sisters went to the Holy Name of Mary Church in Croton, NY, from 3:30 p.m. to 7:00 a.m., to celebrate the Feast of Our Lady of Guadalupe. During Sister Terry’s illness, many of her family and friends, especially Sr. Muriel Gallant and her niece, Mrs. Patricia Silverstein, visited her frequently. Patty also brought her two lovely daughters, (who are with us today). Maryknoll Father John P. Martin, a faithful friend through the years in Merida, also visited her almost daily. Fr. Martin and Terry collaborated in setting up the Maryknoll Affiliate Group in Mexico in January 2006. 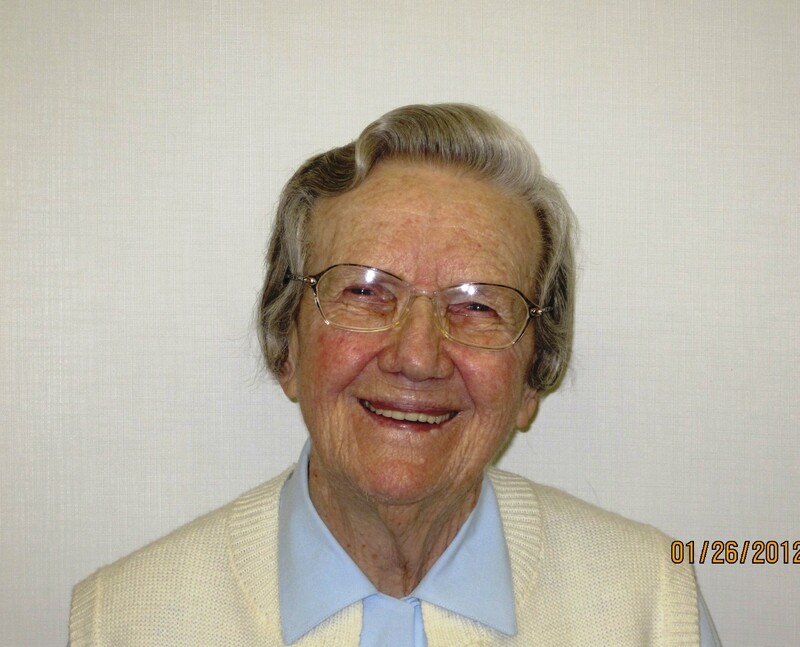 On January 23, 2015, Sr. Terry moved to Maryknoll Home Care IV. To all the Home and hospice staff who so lovingly cared for Sr. Terry until her death, we extend our deepest gratitude. We extend our sympathy today to the members of Sr. Terry’s relatives and friends, and we welcome gratefully her dear friend and pastor, Father Bill Auth, OSFS, and Father John Martin, MM, who will celebrate our Liturgy of Christian Burial.